IndiGo's offer on flight tickets is valid till 13 February 2019. IndiGo’s most recent domestic and worldwide offer is pertinent on bookings made over all channels, the carrier specified on its website. New Delhi: Low-cost airline IndiGo is providing flight tickets from an all-inclusive cost of Rs 899 and Rs 3,399 for its domestic and international routes. 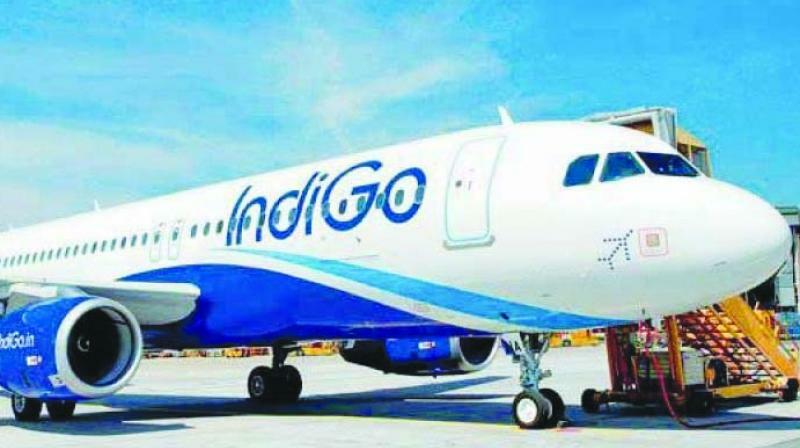 Bookings for IndiGo's most recent offer on flight tickets are open till 13 February 2019, said the carrier. According to IndiGo's site, the travel period for this offer is substantial between 26 February 2019 and 28 September 2019. Under the sale, the airline is offering tickets on Delhi-Dehradun route starting at Rs 1,499, Delhi-Ranchi ( Rs 1,799), Delhi-Ahmedabad ( Rs1,999), Delhi-Mumbai ( Rs 2,099), Delhi-Patna ( Rs 2,199), Delhi-Udaipur ( Rs 2,199), Delhi-Surat ( Rs 2,299), Delhi-Indore ( Rs 2,399), Delhi-Pune ( Rs 2,499), Delhi-Varanasi ( Rs 2,499), Delhi-Hyderabad ( Rs 2,500), Delhi-Bhubaneswar ( Rs 2,599), Delhi-Bagdogra ( Rs 2,699), Delhi-Chennai ( Rs 2,799), noted IndiGo, according to livemint. IndiGo said on its Website that there's restricted stock and this offer is accessible on a first-come, first-served basis. The discount offer isn't pertinent on bunch bookings and cannot be clubbed with any other offer, noted IndiGo. The offer is substantial as it were on continuous flights on different segments over IndiGo’s domestic and worldwide network and is non-transferable, non-exchangeable and non-encashable, IndiGo too specified on its website.